After years of hope and anticipation, Batman Beyond, the comic book was finally printed and shipped to comic shops today. The Batman Beyond television show, from years past, featured Terry McGinnis a high school student who has stumbled onto Bruce Wayne's Batman secret. Wayne provides Terry with a new Batman costume, and with his guidance allows Terry to become the new Batman. Oh, did I mention this all takes place in...the future! Yep, the television show had vision and excitement which establish a cult following, which on this day, flooded comic shops for the first issue of the new ongoing comic series of the same name and story. Flooded, leaked...let's just say there was water and that one of those yellow "be careful not to slip" signs had to be set-up. So who did DC put onto Batman Beyond to visually capture the essence of the television show? DC went with a wise choice by installing, like Terry McGinnis, a young newcomer Ryan Benjamin. His interior imagery has nice movement and clean line work which never over-complicates a panel in this comic of the day. 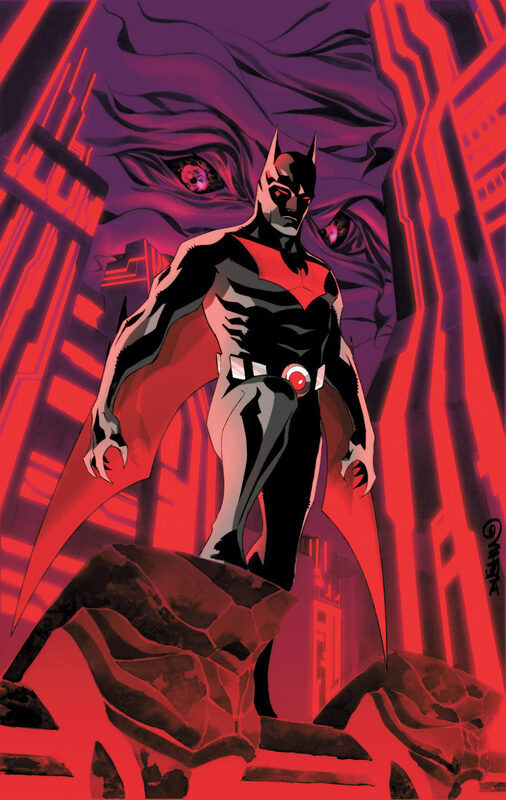 Plus, with the help of colorist David Baron, the Terry McGinnis Batman uniform has the perfect pitch-black and deep red contrasts which makes the hero stand out on every page. A huge addition to Batman Beyond #1 is the Hush cover veteran Dustin Nguyen. Dustin has created some of the best Hush covers in print, including Detective Comics #850...one of my personal favorite covers over the past 10 years. Though Dustin is just handling cover duties, his initial framing of the story through the top part of the Batman Beyond comic bun is sesame seeded with a unique style that lets the reader know they are in for a Batman story that goes beyond (see what I did there) the present and into...the future!